Blues music originated in African-American communities in the "Deep South" of the United States around the end of the 19th century, circa 1880. The Delta blues originated in the lower Mississippi River among black musicians who lived and worked on the farms in the north of Mississippi. It drew influences from church songs, prison songs, African rhythms, and early American folk traditions. 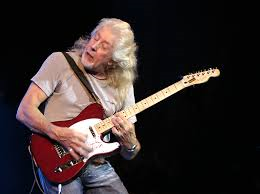 The dominant instrument was slide guitar, primarily steel guitar, and the human voice. Some early blues players were buskers earning a living playing at plantations, on the streets, outside bars, at the crossroads and at railway stations. The music was performed at parties, honky tonks and local bars, and even at festivities hosted by and for the white farm owners. Eventually, some artists went on to record albums, known at the time as “race records”, that were popular in their time. 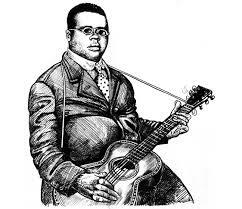 Delta Blues incorporate complex vocal rhythms and syncopation and are spoken, sung, and “hollered.” Songs were about life, love and the hardships of being black in the late nineteenth and early twentieth century American South. 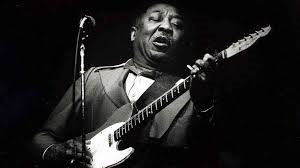 The delta blues eventually branched into other blues styles, including Memphis and Chicago styles, and later played a key role in british rock music, influencing key musicians like Eric Clapton, the Rolling Stones, and many more. In the Mississippi "delta" area around 1880. The area around Dockery Farms where Henry Sloan and later Charley Patton first played this form of music. "Delta blues" but not in the delta ! The "delta blues" area of Mississippi around Clarksdale is not the geographical delta of the Mississippi River as this lies 350 miles south in Louisiana to the south of New Orleans. Instead the "delta blues" area is the agricultural and farming area on the alluvial plain of the lower Mississippi River near Clarksdale not the delta. 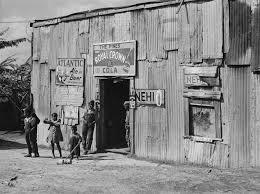 It supported the farms, cotton and sharecropping where the early blues players worked and entertained themselves. He is considered the "father of modern Chicago blues" and was a major inspiration for the British blues explosion of the 1960s. 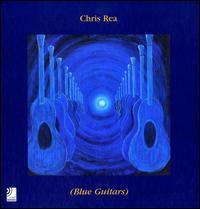 A blues album consisting of eleven CDs, one DVD and a full colour book, including paintings by the artist, liner notes and song lyrics. The album is an ambitious project with the 137 songs recorded over the course of 1½ years with a work schedule - according to Chris Rea himself - of twelve hours a day, seven days a week. The project was inspired by Bill Wyman's "Blues Odyssey" and is an "odyssey" depicting a journey through the various epochs of blues music, starting at its African origins and finishing with modern-time blues from the 1960s and 1970s. British blues derived from American blues that originated in the late 1950s and reached its height of popularity in the 1960s, when it developed a distinctive and influential style dominated by electric guitar by the likes of The Rolling Stones, Eric Clapton, Fleetwood Mac and Led Zeppelin. Many of these aetists moved into rock music and as a result British blues formed part of rock music. Many of the performers have returned to the blues in recent years and there has been a renewed interest in blues music. 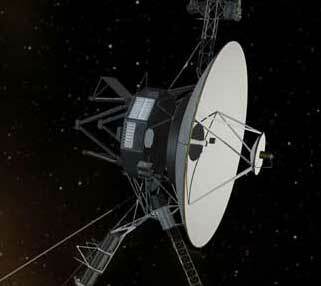 His recording of 'Dark Was The Night' was placed aboard the Voyager Interstellar mission spacecrafts of 1977 along with music by Beethoven and Chuck Berry (Johnny B. Goode) as part of the "Music From Earth". Many people connected with the blues in the "delta" area were described as sharecroppers on farms growing crops such as cotton and tobacco.. Sharecropping is an arrangement where a farmer instead of being a tenant or worker has a shared arrangement with the land-owner and an interest in the harvest. It was more difficult for sharecroppers to walk away in difficult times but they benefitted in good times. Derived from European folk music? "The genre is derived from European folk music, spirituals, work songs, field hollers, shouts and chants, and narrative ballads." What is a Juke Joint ? Juke joint or jook joint or barrelhouse is a road-side cafe/bar and establishment featuring music, dancing, gambling, and drinking. Juke joints were often found at rural crossroads and catered to the rural work force such as plantation workers and sharecroppers needing a place to relax and socialize. They were barred from most white establishments. Juke joints were set up on the outskirts of town, often in ramshackle buildings or private houses. Juke joints offered food, drink, dancing and gambling for weary workers. Owners made money selling groceries or moonshine to patrons, or providing cheap room and board. so go rock the "joint"
Some early blues players worked on the farms in the Mississippi "delta" area and played for enjoyment but others were itinerant blues musicians earning money playing at local parties. juke joints and other locations. Blind people became musicians as the only way to earn money and many of the early blues musicians were blind. 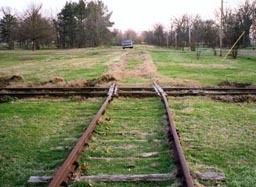 A railroad crossing where the "Southern" railroad tracks crossed the "Yazoo Delta" railroad in Moorhead, Mississippi. 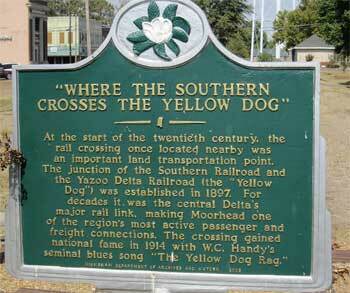 The Yazoo Delta, was more popularly known as the "Yellow Dog". 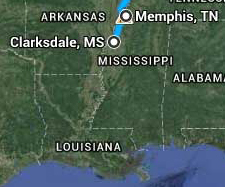 Mississippi "delta" - a rural and argricultural area around Clarksdale, Mississippi. Memphis, Tennessee - an urban area close to and north of the Mississippi "delta". Chicago, Illinois - an affluent area attrative after the Depression. 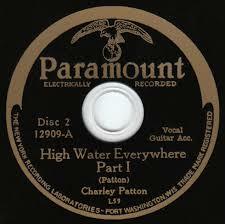 Many other areas had their verions of the blues e.g. Texas blues, Piedmont blues & New Orleans jazz. 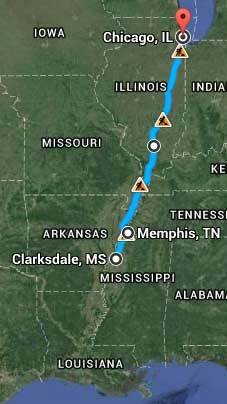 The map shows the rural Mississippi "delta" area aound Clarksdale, the nearby urban area of Memphis to the north of the "delta" and the major centre of Chicago a further 700 miles to the north. 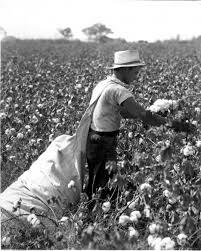 Culturally, the Delta has been home to large cotton plantations worked by black slaves and later, sharecroppers. Much of the Delta was cleared after the Civil War when large levees were built on either side of the Mississippi River. Life in the levee and sawmill camps had a frontier aspect, with men working in gangs, protecting themselves with weapons, and spending their hard-earned money on gambling, women, and itinerant musicians. By the turn of the twentieth century, railroad gangs began laying track to connect the Delta with larger cities. The river promoted trade with New Orleans by providing a means of transporting cotton to market. the Peabody Hotel in Memphis." In the 1890s Beale Street became the center of fashionable nightlife among blacks in Memphis. Vaudeville theaters such as the Lincoln opened on and behind Beale Street, drawing crowds to the attractions. During the 1920s, these theaters hosted the renowned "classic blues" singers, women who sang the blues backed by orchestras, sometimes made up of classically trained locals. Because of Memphis's large, relatively affluent black population, the great classic blues singers - including Ma Rainey, Bessie Smith, and local legend Alberta Hunter - frequently played Beale Street. These visiting stars introduced the songs of Tin Pan Alley to the Deep South and in turn learned regional favorites. Prior to the onset of the Great Depression, Memphis was visited by nine different recording units between 1927 and 1930. These field units of northern recording companies scouted regional talent in an attempt to develop new stars. Victor, Okeh, Vocalion, Columbia, Paramount, and many others realized a greater profit from self-accompanied musicians than from female singers backed by expensive musicians' union orchestras. Memphis was the hub of the Midsouth, and advertisements in local papers, on radio, and by word-of-mouth among musicians drew performers trying to get record deals to recording sessions in public venues like the Peabody Hotel and the Memphis Auditorium. Twenty years would pass before blues musicians could record in a permanent studio in Memphis. Sun Studio at 706 Union Avenue was built by Memphis sound engineer Sam Phillips, whose Sun Records label became home to B.B. 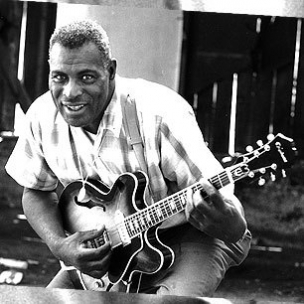 King, Howlin' Wolf, Ike Turner, and many other blues artists who would become famous during the 1950s and 1960s. As the largest city on the Mississippi River between St. Louis and New Orleans, Memphis enjoyed an extensive local blues scene. When W.C. 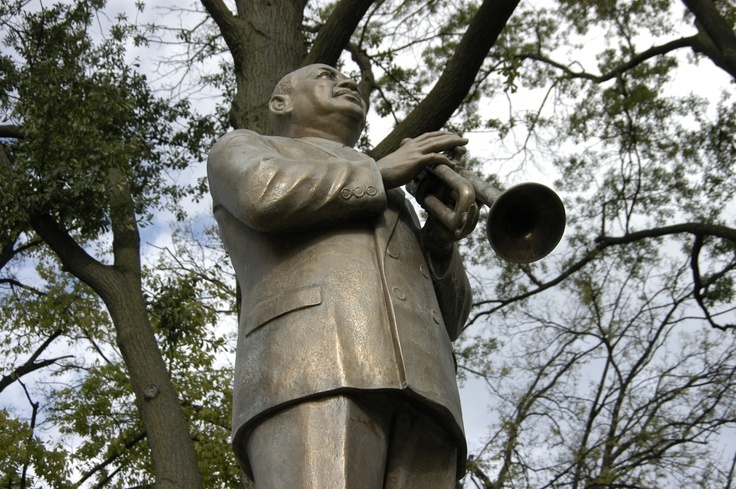 Handy moved there in 1909, he made it the base of his orchestra and publishing company. 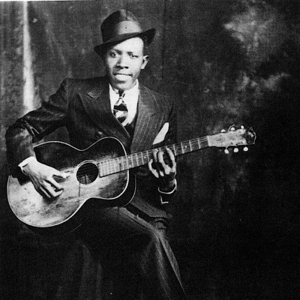 Many of the great recorded Delta blues guitarists, including Tommy Johnson, Son House, Willie Brown, Robert Johnson, and Howlin' Wolf, learned from guitarist Charley Patton, who lived on Dockery's Plantation. It's been speculated that blues music was born in the vicinity of this large, self-sustaining cotton plantation near the Sunflower River. Patton's records sold well, unlike those of many of his contemporaries, and provided him with fame and ready cash that were widely envied by his peers. The records of many of the Delta's greatest bluesmen failed to sell in large quantities, leaving a recorded legacy that is splintered at best. Skip James and Son House in particular were hampered by working with Paramount Records, a label that went bankrupt during the 1930s. 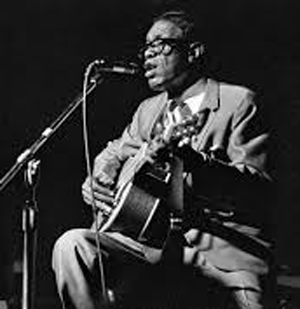 Many well-known Memphis bluesmen, including Sleepy John Estes, Robert Wilkins, and Furry Lewis, played or recorded with jug bands. 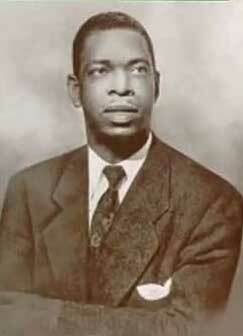 Many equally talented Memphis bluesmen performed and recorded solo or in a duo, frequently with great success. Frank Stokes, Memphis Minnie, and the phenomenally popular Jim Jackson all recorded and released records without a backup band. 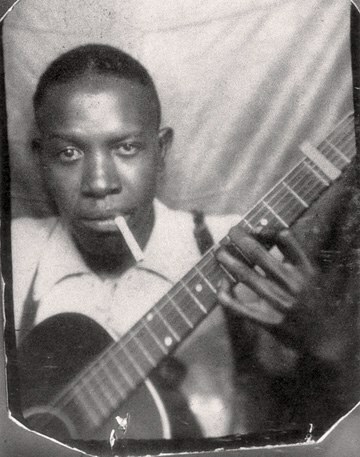 During the 1920s and 1930s, blues records by Memphis musicians routinely outsold records by their Delta contemporaries. In the 1940s, the popularity of AM radio presaged a new outlet for blues musicians in the Memphis area. 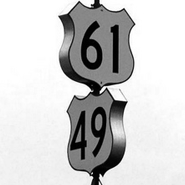 In 1949, WDIA in West Memphis, Arkansas, became the nation's first radio station with an all-black format. With a combination of jump blues records and live music by B.B. 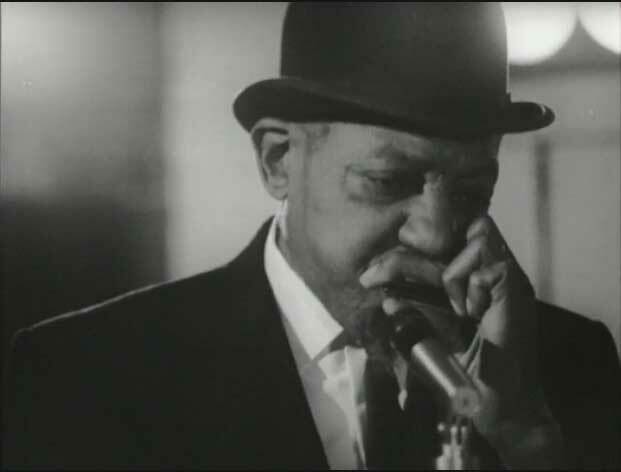 King, Sonny Boy Williamson, and Howlin' Wolf, the station became a blues tastemaker. King's first hit was "Three O'Clock Blues" in 1951, and it suggested a change of taste in the blues record-buying public. On record King was backed by horns and a band, further enhancing King's rich guitar tones and crying vocals. His sound was embraced by Memphis contemporaries Johnny Ace, Little Junior Parker, Roscoe Gordon, and Bobby "Blue" Bland. These bluesmen created a new Memphis blues sound that combined jump blues swing and a driving Tennessee rhythm. The city's blues roots became the bedrock of the soul music created there in the 1960s, because many of Memphis's greatest soul musicians learned their chops from musicians they heard on Beale Street. Paramount Records was founded by the Wisconsin Chair Company in 1917, during an era when 78rpm records were often sold at furniture stores to promote sales of phonographs and phonograph cabinets. Between 1929 and 1932 Mississippi-born blues pioneers including Charley Patton, Tommy Johnson, Skip James, Son House, the Mississippi Sheiks, Willie Brown and Henry Townsend travelled north to record there.